Website visitors are customers waiting to talk to you; you spend a lot of money driving online prospects to your website, so don't let them leave without learning who they are and what they need! 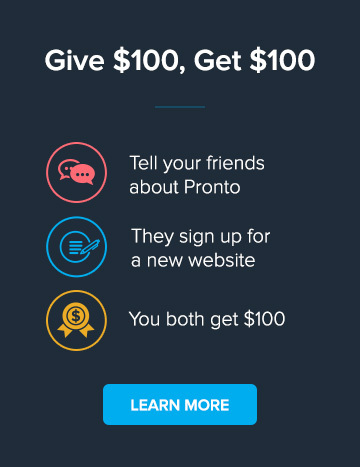 Pronto’s Pay Per Lead Chat Service ensures we capture this vital information for you. We display a button on your website that allows visitors to reach out to you with ease through live chat, enhancing your online exposure and improving sales leads and ROI. We have partnered with industry-leading live chat developer ApexChat to bring you this complete chat experience. ApexChat’s platform uses custom-developed scripts that improve web conversion. Pay Per Lead Chat lets your potential customers talk to real agents who ensure their questions are answered and contact information collected. That leads to happier visitors, plus you don’t have to hire new staff and you can get started right away. It’s a win-win experience. Do I need to pay for bad leads? Nope! You only pay for qualified leads. Existing customers, solicitations or visitors that clearly aren’t target customers won’t cost you anything. How do I train the chat agents? Right off the bat, our agents are trained to collect name, email, phone and the timeframe the visitor wants to move forward. On top of that you can submit any type of additional instructions. For example, what to do if an existing customer starts chatting, or the price of a service.